Mission Impossible movies have made the self destruction options quite popular in the modern age but we still don’t have that luxury. Soon we will have such gadgets like laptops and smartphones which can self destruct on its own but this technology will only be made available to corporate employees and government officials. The new self destruct mechanisms possess the ability to destroy the electronic gadgets within 10 seconds by receiving the wireless commands triggered by the sensors. This technology has been developed by a team of researchers at King Abdullah University of Science & Technology (KAUST) in Saudi Arabia. It works swiftly and can effectively work across a variety of common semiconductor technology which is usually used in the most electronic devices. 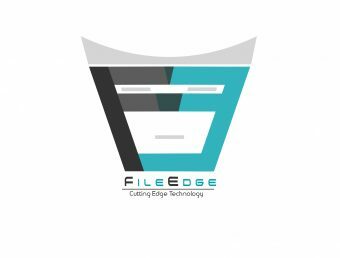 Researchers have stated that first customers are expected to be those who are in need of data protection such as the intelligence communities, hedge funds, social security administration, large corporations and all those who handles massive data. How This Self Destruct Technology Works? The self destruct mechanism developed by the team works on making the expandable polymer found in the modern electronics to their own benefit. When this polymer is heated over 80 degrees Celsius then it tends to expand to seven times more than its original volume. The trigger mechanism introduced in this technology helps in the polymer expansion which comes right from the heather electrodes drawing power from the battery of either Smartphone or laptop. They are making study available for the wider audience by publishing it in the upcoming issue of the journal called Advanced Materials Technologies. The researchers at KRAUT have tested this self-destruct mechanism for variety for scenarios where the self destruct can be triggered remotely. In the first testing a GPS sensor was utilized to trigger the device in case they move more than 50 meters away from their starting point. In the second testing researchers made use of the light sensor to automatically trigger the self destruct mechanism. This mechanism will helpful in such scenario where a top secret device is moved out of the box and placed under the light. The third scenario made use of the pressure sensor to cause the self destruction of the device in case it meets with any kind of unwanted force. This means if anyone tries to get into the device by forcefully opening the casing then device can be triggered to explode in order to safeguard it from being compromised. In the fourth scenario researchers tested the compromising of the device or self-destruct functionality to its core. It was ensured that no one else expect the rightful person is able to trigger the self-destruct command making use of a smartphone app. 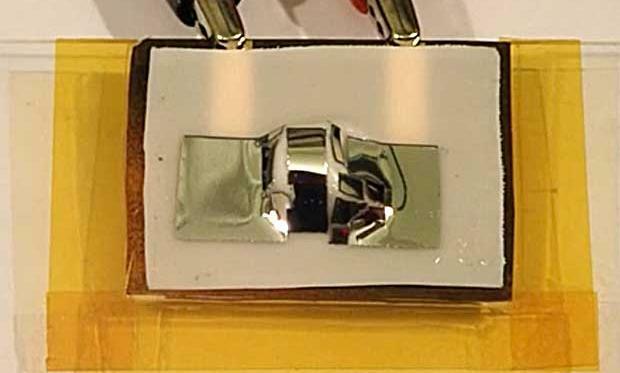 Researchers has found the right way to ensure that this functionality only worked when a particular password is entered into the chip for destroying the device on demand. Very soon we will living in exciting times where espionage and intelligence will look just like the movies in real life. The launch of Google Pixel XL was in November 2016. The phone features a 5.50-inch touchscreen display having a resolution of 1440 pixels by 2560 pixels at PPI of 534 pixels an inch. 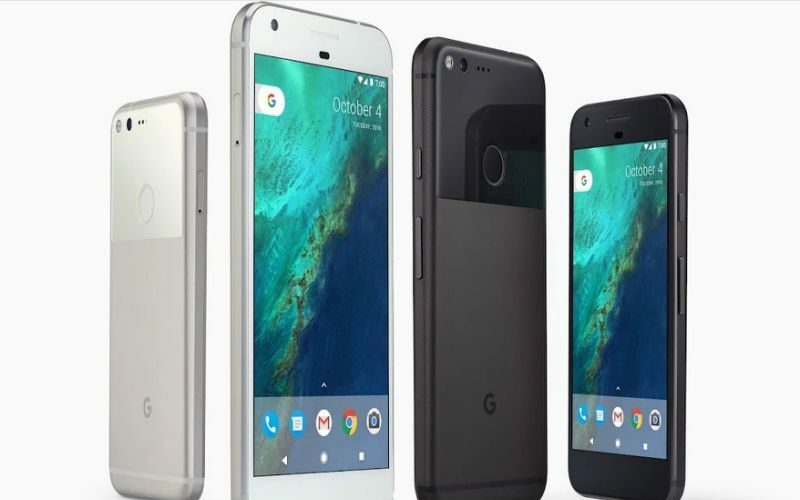 GadgetGoogle Pixel XL smartphone was manufactured by HTC though for the purpose of marketing it was said to be a Google Phone. It has an aluminium as well as glass structure and is said to be the first phone which is built in Google Assistant that is a human-like assistant helping the user constantly in making the tasks quicker. The user can ask it questions and it is your own personal Google, ready to assist always. You could start with `Ok Google’. 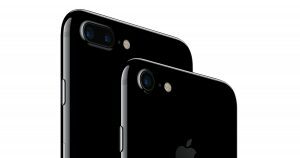 The iPhone 7 is said to be the latest iPhones of Apple having substantial better camera features, with new glossy black colour, improved battery life with faster processors together with improved water resistance, employed through a click-less haptic home button. It does not seem to have a headphone jack. This is the gadget iphone 7 of Apple. The iPhone 7 tends to enhance the most significant features of the iPhone experience. The iPhone general design is said to be the same to the iPhone 6S though it introduces new colour choices, water and dust resistance together with a new capacitive, static home button and without the 3.5 mm headphone jack. The internal hardware of the device has also been upgraded, inclusive of the heterogeneous quad-core system-on-chip. It comes with improved system together with graphics performance as well as upgraded 12 megapixel rear-facing cameras having optical image stabilization on all models. It also has an extra telephoto lens on the iPhone 7 Plus model in order to offer enhanced zoom capabilities. 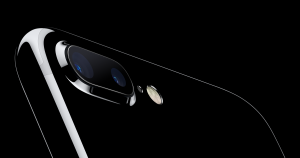 Users have mixed feeling to iPhone and though reviewers observed the progresses in camera, particularly the dual rear camera on Plus model, they also informed that thegadget iphone 7 had not made many changes to the display or the build quality, where the opposingleading smartphones exceeded the quality of the iPhone 7. Several reviewers had emphasised on the provocative removal of the 3.5 mm headphone jack and some critics had debated that the change had been meant tostrengthen licensing of the branded Lightning connector as well as the sales of the wireless headphone products of Apple. They questioned the results of the change on the audio quality and Apple was also mocked by the critics on their statement that the change would need `courage’.The headphones which tend to connect to it should be Bluetooth or fitted out with a Lightning adapter. Moreover it has intended new totally wireless high-tech AirPods to simplify the transition. The sales number for gadget iphone 7 has not been released by Apple though several U.S. carriers have reported that it had been high in demand during its launch. Subsequent reports towards the end of 2016 had informed that Apple had abridged the production of the models owing to slow-moving sales together with fall in demand. Apple has informed that the iPhone 7 as well as the iPhone 7 Plus are the best iPhones created by the company. Externally the two devices does not seem to be expressively altered from its earlier generation iPhone 6s and iPhone 6s Plus. They tend to have the feature of 4.7 and 5.5 inch screen sizes together with the same dimensions. However there are some visual alterations as well as some significant interior deviations. For a cleaner, sleek look, antenna bands are not present through the back of the device. 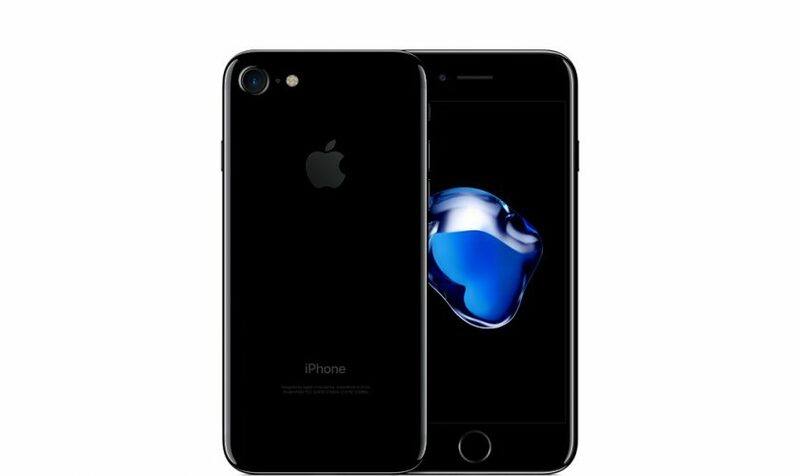 There are new colours sold together with the Silver, Gold and Rose Gold shade, with matte black colour which Apple has called `Black’ and a new `Jet Black’ having high loss finish. Recently a third new colour had been introduced by Apple a (PRODUCT) Red Special edition model which is deep red aluminium. With regards to design, the body of the gadget iphone 7 has been reengineered making it IP67 dust and water impervious. This tends to obstruct splashes, brief submersion in water and rain. The iPhone 7 does not have a physical Home button since it has been replaced by a solid state pressure sensitive button which tends to get linked to a redesigned Taptic Engine. This delivers haptic response representing out-dated button presses.The updated display is said to be 25% brighter, supporting a wide colour range for richer and true-to-life colours. The iPhone 7 has been fortified with an A10 Fusion processor which is said to be faster by 40% than the processor in the iPhone 6s. Moreover it tends to feature two great performance cores for system intensive chores together with two high-efficiency cores which is said to function at 1/5 the power in order to save on the battery life for smaller chores. With the enhancements in the processor, the device is said to have the best battery life in an iPhone. 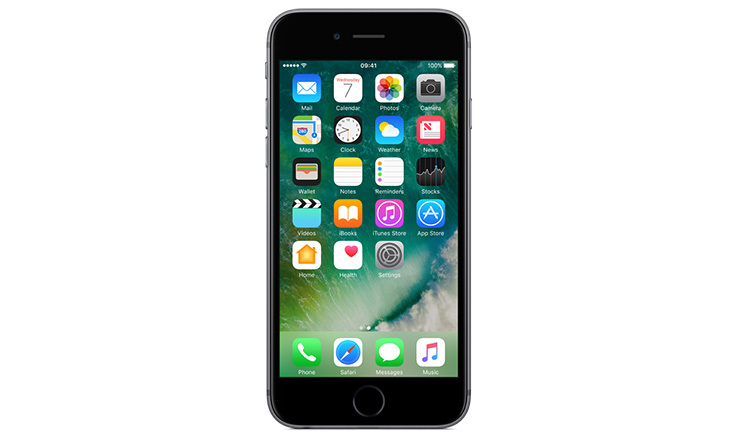 The gadget iphone 7 has stereo speakers placed towards the top and bottom of the iPhone which are a new addition as well as the enhanced features in the form of an overhauled camera system. It features a 28mm 12-megapixel camera all together with optical image stabilization as well as a wider f/1.7 aperture 6-element lens combined with wider colour capture and a new Apple image signalling process which tends to cause a brighter, sharper and more complete photos in low-light conditions also. It features all the improvements of camera in the iPhone 7 and in addition to the 28mm wide-angle lens it also has a second 56mm telephoto lens for dual-camera functions which supports improved optical zoom. Moreover it also comprises of a new shallow-depth-of-field portrait mode which utilises the two lenses in drawing out the picture theme while concealing the background. 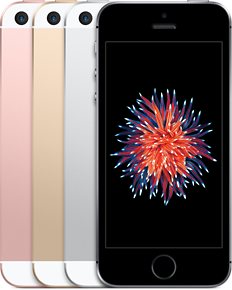 iPhone SE is considered to be the most powerful 4-inch phone which has been re-designed from the inside out. The advanced chip A9 is the same that has been utilised in iPhone 6s. Live Photos tend to bring your images to life with the 12-megapixel camera that tends to capture unbelievable photos together with 4K videos. This gadget iphone has an amazing design which improves it even further. Fashioned from bead blasted aluminium resulting in a satin-like texture the iPhone is said to be light and a compact phone created to fit with ease in the hand. The 4-inch excellent Retina display seems to make everything appear alive and sharp. Besides this the matt-chamfered edges together with colour-matching stainless steel logo completes the total appearance. The iPhone SE fundamentally is the A9 which is the same advanced chip that is said to be in the iPhone 6s and with the desktop-class architecture of 64-bit, the A9 chip provides the user with outstanding speed and receptiveness. Moreover, with the performance of the console-class graphics favourite games together with the apps are amazingly rich and immersive thus making it an influential chip for extreme performance. The A9 chip which has been implanted directly in the A9 chip, the M9 motion coprocessor tends to link to the accelerometer, compass as well as the gyroscope for a variety of fitness tracking abilities like measuring the steps and the distances. Moreover the gadget iphone also seems to make it stress-free to activate Siri by just uttering `Hey Siri’, without the need of picking up your iPhone. With the provision of a 12-megapixel camera, the user is assured of capturing sharp, detailed stills just like the ones that are captured on iPhone 6s which comprises of shooting as well as editing amazing 4K video that seem to be 4 to 5 times the resolution of 1080p HD video. Live Photos also tend to bring still photos to life with the inclusion of movement and sound. You could just touch and hold any area on your 12-megapixel still to experience the moment before and after it had been take so that your images tend to turn into living memories. The Retina display is not only a place to view your content; but it is also a flash for your FaceTime HD camera. Driven by a custom display chip which seems to permit the display to flash thrice brighter than normal, the Retina Flash supports in illuminating your selfies in low light and during night. Every photo and video one tends to take is said to be stored in iCloud Photo Library and is kept up to date on all the devices. Any edits undertake are automatically updated everywhere to be viewed from last week or last year irrespective of where one is. 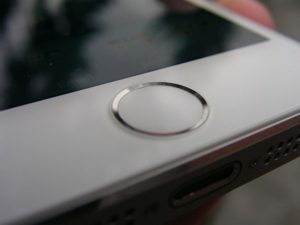 The Touch ID is said to make unlocking the gadget iphone SE easy and secure since the fingerprint is said to be the appropriate password and no two can be the same. More LTE bands seem to make the iPhone SE great for worldwide roaming. Moreover it is also said to support Voice over LTE and Wi-Fi calling for high quality wide band calls. In addition with the Bluetooth technology, the user has the potential of staying connected to your Apple Watch, external speakers as well as the other devices. The launch of the Pixel C was done reluctantly during the Nexus 5X and 6P event by Google providing us some insight onthe tabs though at the same time offering very little information. 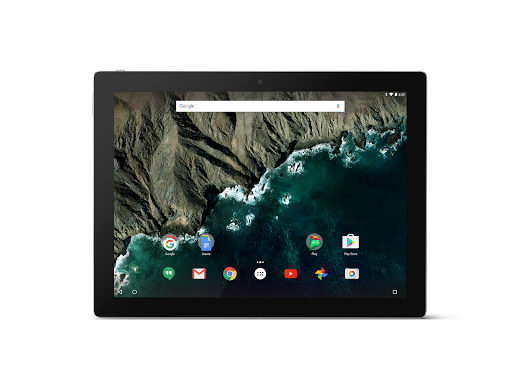 It is the new venture for Google since the Gadget Pixel C is considered to be the first tablet designed and built by Google. The earlier Google tabs wearing the Nexus brand were manufactured by Asus and HTC and yet this time Google seemed to have complete control over all aspects, moulding the device particularly for Android 6.0 Marshmallow. 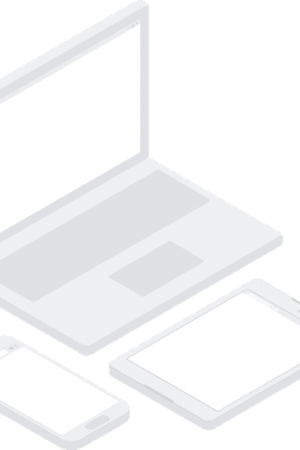 With the 10.2-inch display together with the premium build it means that the Pixel C is comfortably at the top of the tablet market above the Nexus 9 bridging the gap between the Nexus tabs and Chromebook Pixel laptop of Google. Google has also been offering a keyboard dock which tends to change the Pixel C from a typical Android tablet into a fusion laptop. 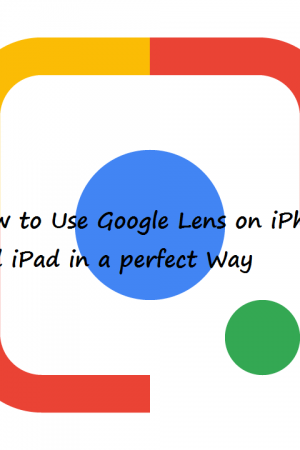 Google is also watchful on the market which is presently being challenged by Microsoft Surface Pro 5 and iPad Pro. 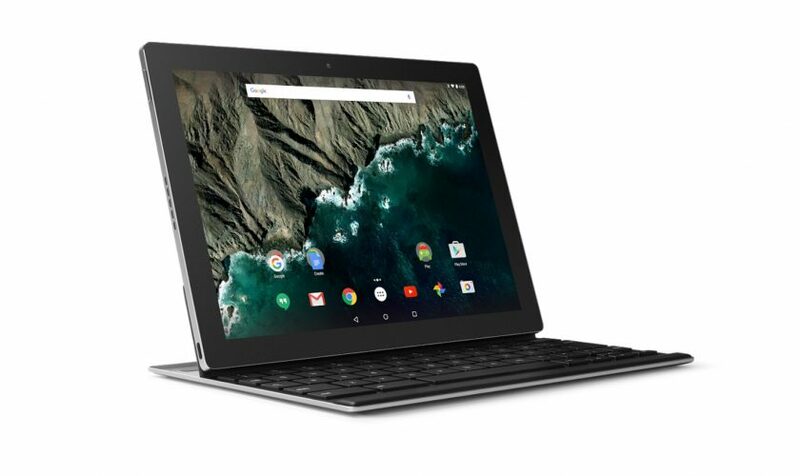 There are two models of Pixel C of 32GB and 64GB wherein the 32GB is £399 – US $ 499, around AU$680, while the larger storage size is made available for £479- US$599, around AU$820. This Gadget is quite cheaper than the iPad Pro and Surface Pro 4 then though the price of the 16GB and 64GB iPad Air 2s were matched by Google and if one chooses the cheaper version of the Pixel C they would get twice the storage of the entry level tab of Apple. It is a known fact that the Gadget is a premium tablet. Complete in Anodized aluminium, the Pixel C looksand feels like a luxurious piece of tech. 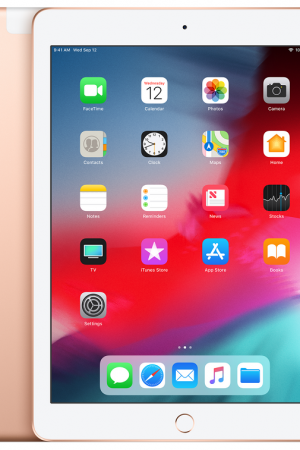 The style is not light but at 517 g it seems to be significantly heavier than the equally proportioned iPad Air 3 that tips the scales at 437 g but the Air 2 is said to be narrower as well as thinner than the 242 x 179 x 7mm. There is a strong amount of bezel around the 10.2-inch display. 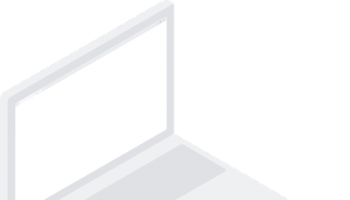 The power/lock key is placed on the left of the top area when the Pixel C is held in landscape position. And the volume rockers are high up towards the left with a USB-C port below on the same side. The USB-C port permits the user to charge the Pixel C as well as transfer the data to and from it. Moreover it also has another benefit. You can connect the phone or Pixel laptop to the Pixel C and the tablet can charge the other devices, if your phone is low and another power outlet is not available. Besides this there are also dual stereo speakers on both side of the Gadget tablet together with a 3.5mm headphone jack with a selection of features towards the right area of the Pixel C.
Towards the back, joined by the iconic Chromebook light bar shining in four trademark colours of Google, is the 8MP camera. On double tapping the light bar, it tends to display the battery level of the Pixel C in spite of the device being turned off which is necessary if the user needs to know if a quick charge is essential. The placement of the different buttons together with the light bar shows that Google intends the user to utilise the Pixel C in landscape mode most of the time though portrait mode is also available which is probably enhanced for actions like web browsing. In September 2015, the Apple iPhone 6s had been launched which features a 4.70-inch touchscreen display with a resolution of 750 pixels by 1334 pixels at PPI of 326 pixels for each inch. 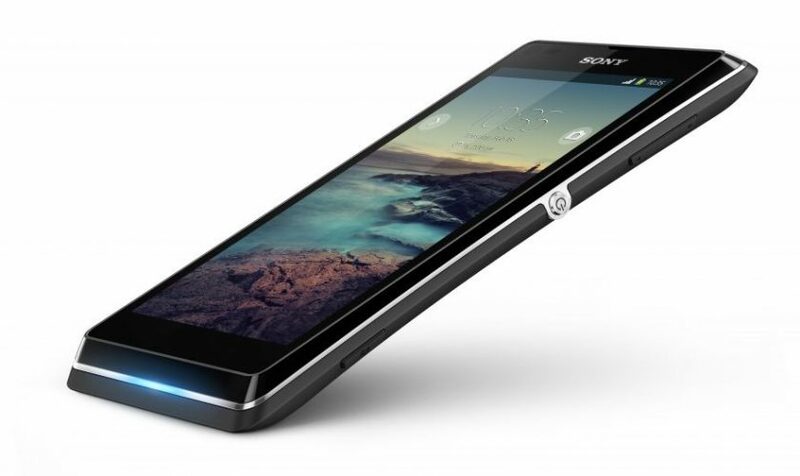 It comes with 2GB of RAM and the phone packs 16GB of internal storage cannot be expanded. Regarding the cameras, the Apple iPhone 6s has a 12-megapixel primary camera on the rear and a 5-megapixel front shooter for selfies. 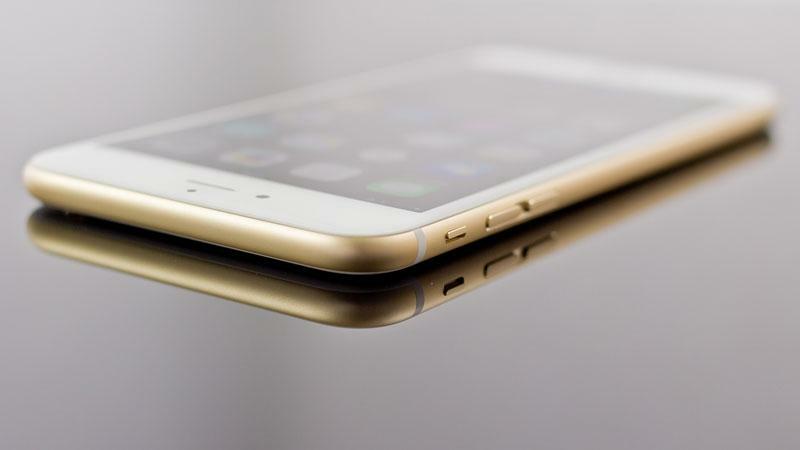 .The iPhone runs iOS 9 and is said to be powered by a 1715mAh non removable battery. It tends to measure 138.30 x 67.10 x7.10 weighing 143 grams. 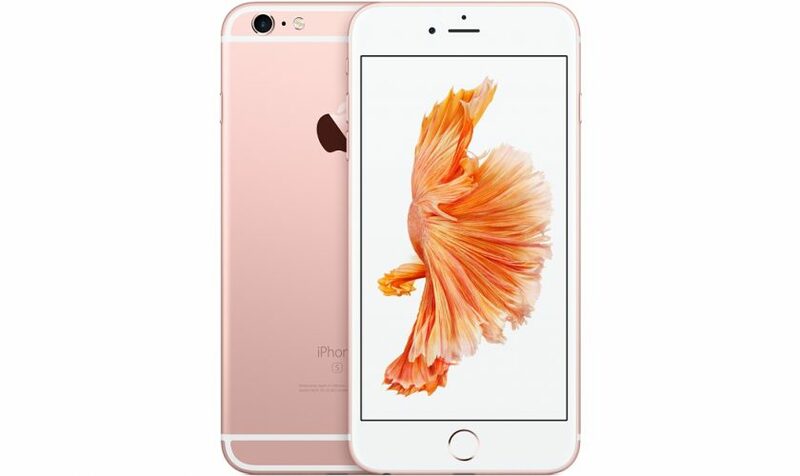 The iPhone 6s is a sole SIM (GSM) smartphone which receives a Nano-SIM. The options for connectivity comprise of Wi-Fi, GPS, Bluetooth, NFC 3G and 4G together with support for Band 40 utilised by some LTE networks in India. Phone sensors contain Compass Magnetometer, Proximity sensor, Accelerometer, Ambient light sensor, Gyroscope and Barometer. 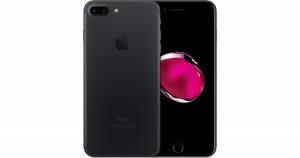 The gadget iphone 6s together with the iPhone 6s Plus is said to be the most advanced iPhones with the addition of a powerful updated dimension to the revolutionary Multi-Touch interface of iPhone. The 3D Touch had been introduced by the new iPhones which tends to sense force in enabling intuitive new systems to access feature together with interaction with content. The gadget iphones also feature a Retina HD display which has been designed from the strongest glass on any smartphone and 7000 series aluminium, is the same used in the aerospace industry in elegant metallic finishes which now contains rose gold. Moreover the iPhone 6s and iPhone 6s Plus had also hosted a transformative fresh approach to photography known as Live Photos bringing still images to life by taking a moment in motion. The 3D Touch, Live Photos together with the other advancements in the latest iPhones are said to be powered by the Apple designed A9 chip which is the most advance chip in a smartphone providing quicker presentation together with abundant battery life. Apple’s senior vice president of Worldwide Marketing, Philip Schiller had commented that the only thing which has changed with iPhone 6s and iPhone 6s Plus is everything.The 3D Touch enables users to interact with iPhone in entirely new and fun ways and the innovative Live Photos tend to bring the images to life. He further add that these were the greatest progressive iPhones with 7000 series aluminium, ion-strengthened glass, the new 64-bit A9 chip, together with 12-megapixel iSight and 5-megapixel FaceTime HD cameras, faster Touch ID, LTE and Wi-Fi and that the consumers would love them. 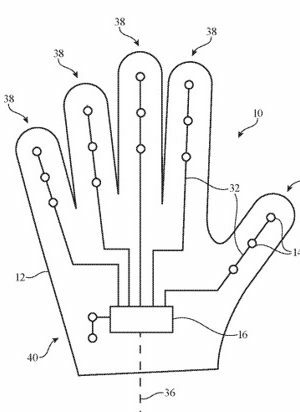 Besides this, the gadget iphone 6s and iPhone 6s Plus also ushered in new systems of navigating and experience iPhone by way of sensing pressure to support new gestures – Peek and Pop, which can be dipped in and out of content without losing your place. The user can lightly press to Peek at a photo, email, web page or other content as well as press a bit further to Pop in the content. 3D touch, with Quick Actions, offers shortcuts to the tasks performed daily, hence one can send message or take a selfie from the Home screen with just a simple press. 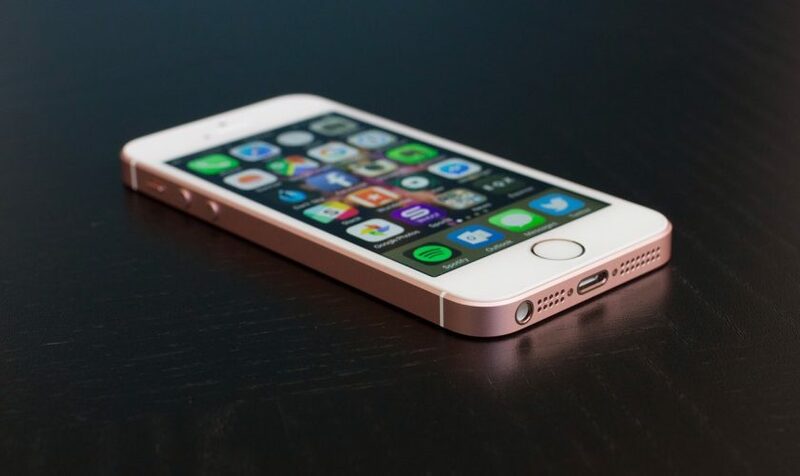 The iPhone 5s smartphone of Apple had been released in September 2013 which comes with a 4.00-inch touchscreen display together with a resolution of 640 pixels by1136 pixels at a ppi of 326 pixels an inch. In India the iPhone had started at a price of Rs.17.599. 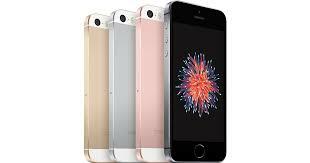 The gadget iphone 5s is said to be powered by 1.4GHx dual-core Apple A7 – 65-bit ARMv8, process and features a 1GB of RAM. It is packed with internal storage of 16GB and cannot be extended. With regards to the camera, the Apple iPhone 5w has a 9-megapixel main camera towards the rear together with a 1.2-megapixel front shooter for the purpose of selfie. It runs iOS 7 powered by a 1570mAh non detachable battery and measures 123.80 height x 58.60 width x 7.60 thickness, weighing 112 grams. The iPhone 5s is said to be a sole SIM (GSM) smartphone which receives a NAO-SIM connectivity choices comprising of Bluetooth, GPS, Wi-Fi 3G as well as 4G with provision for Band 50 utilised by a few Indian LTE networks. On the phone, the sensors contain Compass Magnetometer, Proximity sensor, Accelerometer, Ambient light sensor together with Gyroscope. 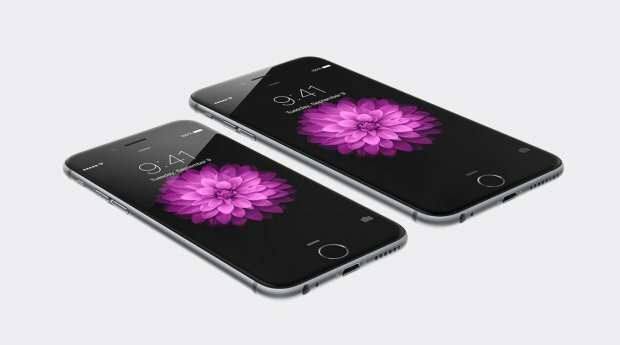 When the iPhone 6 and iPhone 6 Plus the 2014 models, had been successful, the iPhone 5s had just made an entry and though the newer handset had been a success, the gadget iphone 5s still stood a better option if one preferred an outstanding Apple handset. 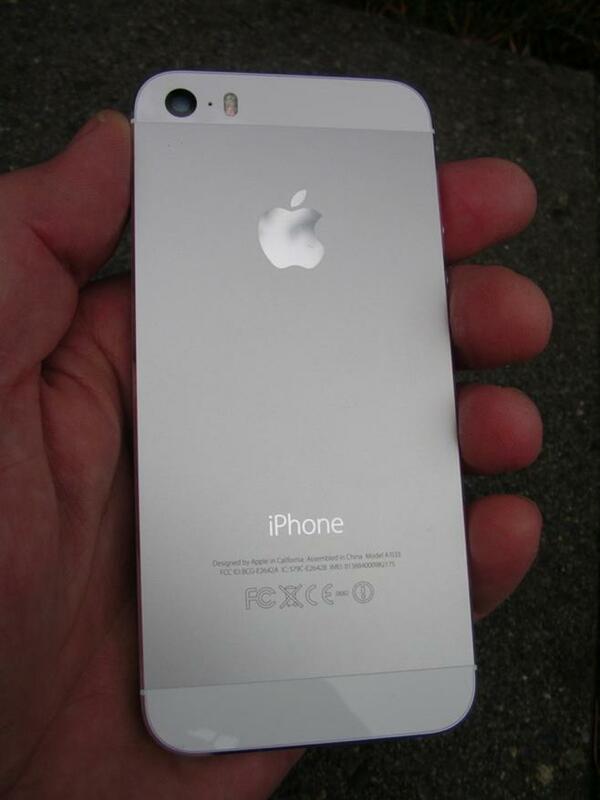 Initially, when the iPhone 5s was released, it seemed like the iPhone 5 though it lived further beneath the hood. The iPhone 5s had been an expensive smartphone and even on monthly plan the price had dropped as the device seemed to get older. 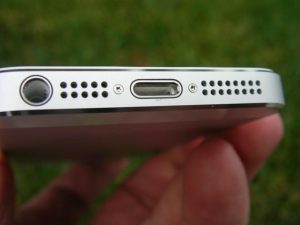 The iPhone 5s signified the peak of a particular iPhone design for Apple before it was designed to be much thinner and more rounded with the iPhone 6 and it became difficult to identify the 5s from its forerunners, the iPhone 5. 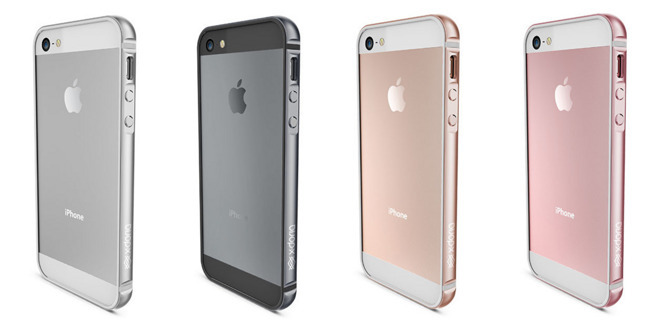 The new colours which had been hosted with the 5s comprising of champagne and space grey are said to be a bit odd though promises to show up the abrasions less obviously. However, it’s inspiring to feel the iPhone 5s in your hand with its low weight of 112 g together with the dimension of 123.8 x 58.6 x 7.6mm. It tends to have the too-light feeling which the premium metal finish is by some means reduced through the lack of weight though the same is far from being low-priced. The iPhone 5s in comparison to the Galaxy S5 or LG G3 is far ahead in terms to design though less so when compared to the HTC One M9 or One Mini 2 that have reiterated the aluminium-clad trick. The Samsung Galaxy S5 and Galaxy S6 Edge showed that Samsung had got back its mojo design and considering the design of the two handsets, the iPhone 5s was excellent. The gadget iphone accessories in the form of earphones, known as Apple EarPods are included with the iPhone 5s wherein the design as per the technology commentators is focused in enhancing the sound quality by enabling the air to pass freely in and out. According to Apple, the design of the earphones permits to `rival high-end headphone which tends to cost extra hundreds of dollars’. In 2012, after Apple had launched the iPhone 5, there had been calls for the company to begin speculating on offering low cost variety of the iPhone. Apple watcher together with analyst had recommended that Apple would require inexpensive iPhone if it intends to continue gaining market shares when smartphone ownership was reaching saturation. Apple reacted by stating that a cheaper iPhone would not be the future of its products. However, the idea that Apple would be launching an inexpensive iPhone took shape and when Apple unveiled the iPhone 5c together with the iPhone 5c; the expected displeasure when it eventually emerged was just £80 less than the equivalent iPhone 5s. On September 10, 2013, Apple had unveiled the iPhone 5c, together with the iPhone 5S at the time of a media event at Cupertino headquarters. So the iPhone 5S had become the new flagship of the iPhone range whereas the iPhone 5C was created as a mid-range model and the iPhone 4S continued production had become the entry level model of the series. The gadget iphone 5c, marketed with a stylized lowercase `c’ as iPhone 5c is said to be a smartphone which had been designed as well as marketed by Apple Inc. 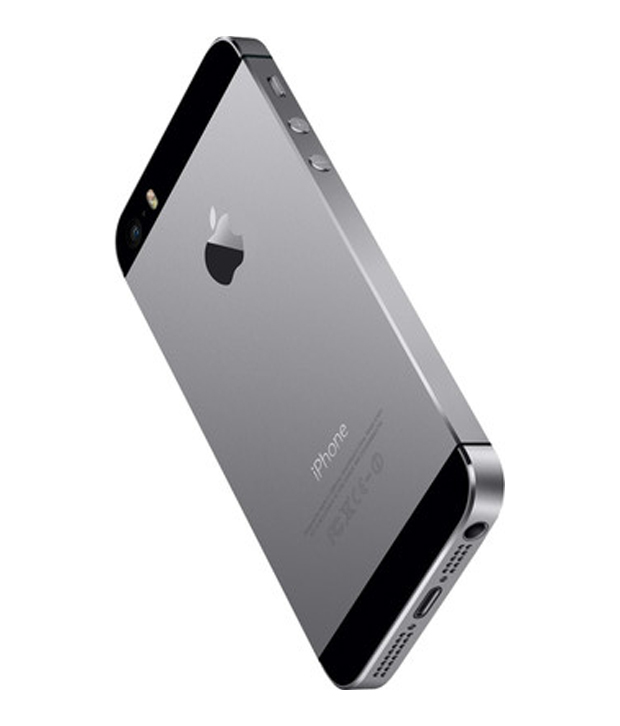 The smartphone had been part of the iPhone series, released on September 20, 2013. The iPhone 5c is an alternative of the iPhone 5, having identical hardware specifications though a hard coated polycarbonate shell rather than that of aluminium of the original iPhone 5. 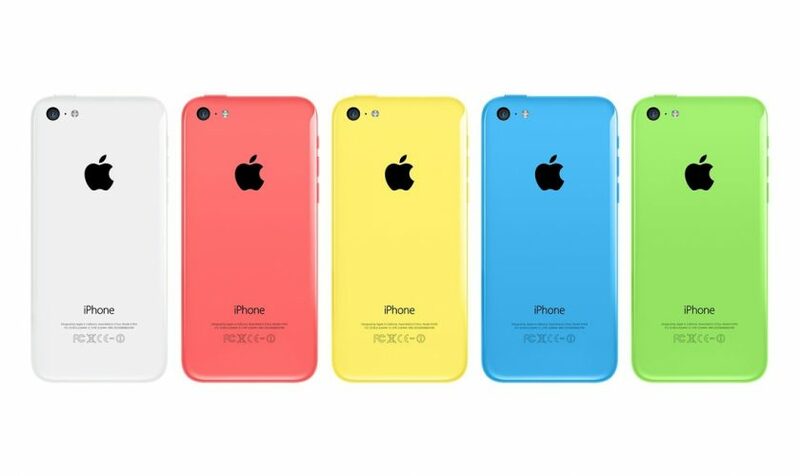 The iPhone 5c comes in several colour choices and is shipped with iOS 7. 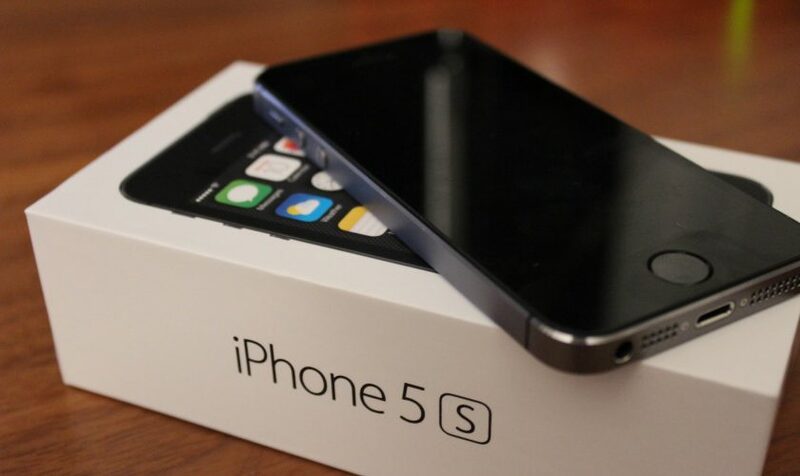 In comparison to the 5S, the iPhone 5c was marketed at a discounted price point unlike the earlier practice of lowering the price of the previous model on release of a fresh version and the iPhone 5 had been discontinued and replaced by the 5c. 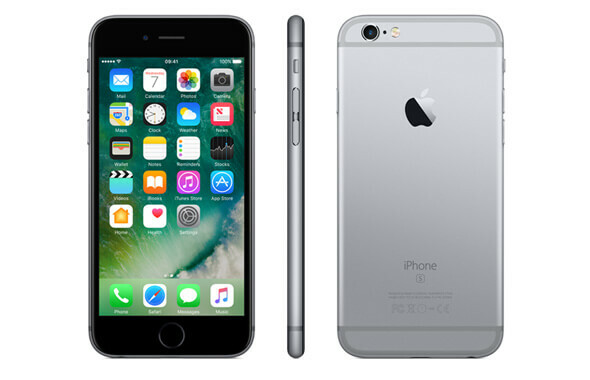 The 16 and 32 GB gadget iphone 5c models were replaced by the 8 GB on September 9, 2014 with the announcement of the iPhone 6 and iPhone 6 Plus. 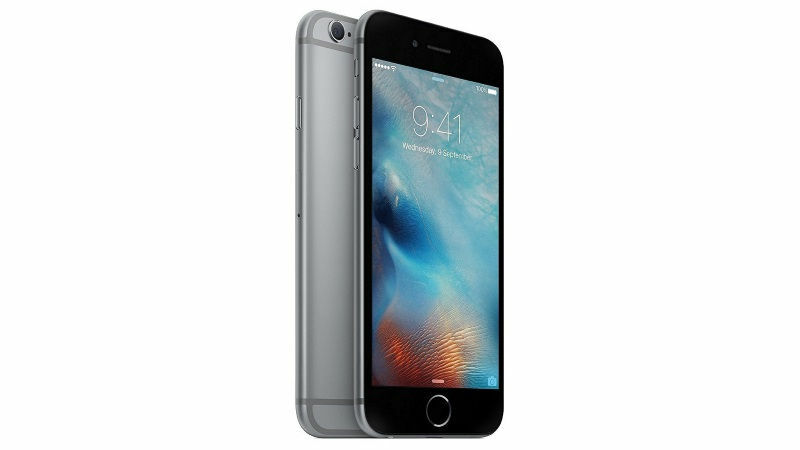 The 8 GB variety was then discontinued on September 9, 2015 on the announcement of the iPhone 6S. 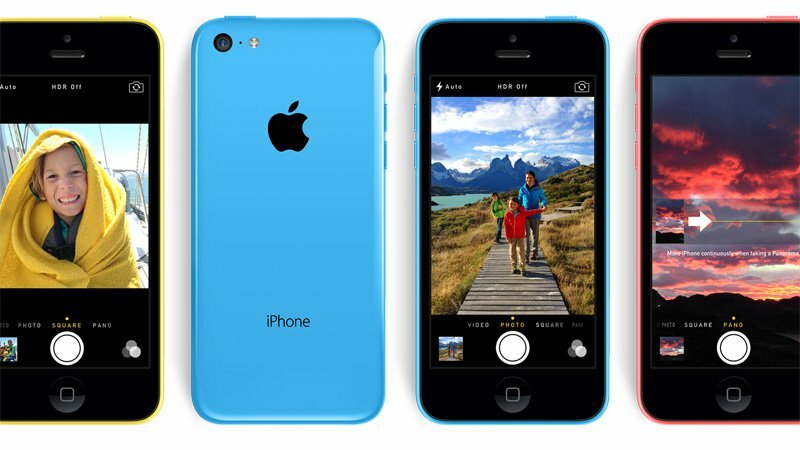 The iPhone 5c was said to be the long-anticipated inexpensive iPhone or cheap iPhone. 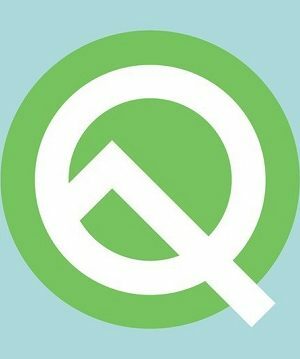 But it rivalled with the other mid-range devices that had been positioned below the flagship phone such as the HTC One Mini and Moto X. Taking into consideration the premium pricing tendencies of Apple, initially the iPhone 5c had been sold at prices like the other high-end flagship devices that had been released in early 2013. Like the Samsung galaxy S4 and HTC One and as its earlier iPhones, it had not competed in the feature phone fragment or the unsubsidized/prepaid classification. It had received discounts for being on the market for six months. The iPhone 5c smartphone features a 4.00 inch-touch screen display having a resolution of 640 pixels by 1136 pixels an inch. It is powered by 1.3GHz dual-core Apple A6 processor and has a 1GB of RAM. 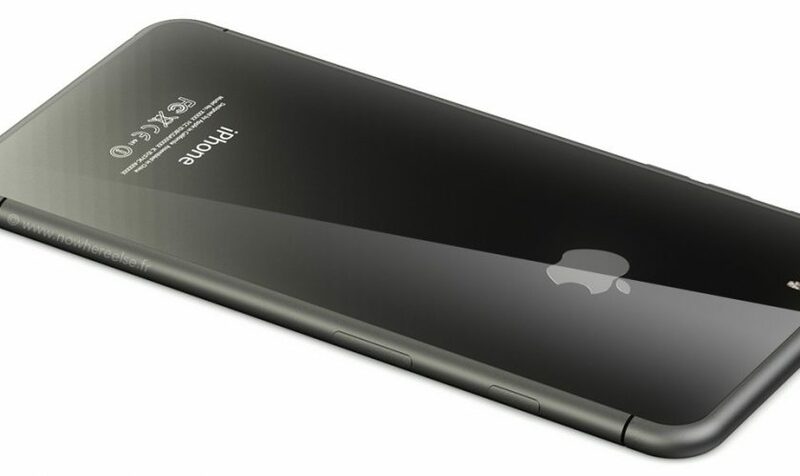 The gadget iphone is packed with an internal storage of 16GB which does not have the potential of expansion. With regards to the camera, the iPhone 5c of Apple comes with an 8 megapixel primary camera towards the rear together with a 1.2 megapixel front shooter for selfies and runs iOS7. It is powered by a 1507mAh non detachable battery measuring 124.40 height x 59.20 width x 8.97 thickness and tends to weigh 132 grams.According to Apple, the iPhone is said to be a colourful low-budget and plasticiPhone. The price of the iPhone 5c since its launch has been dropping considerably and now the iPhone 5c is available between £108.99 and £199.99 for 16 and 32 GB storage capacities. But now with the discontinuation of the iPhone 5c, the prices tend to reflect a seller renewed price that is not the same as a brand new phone. 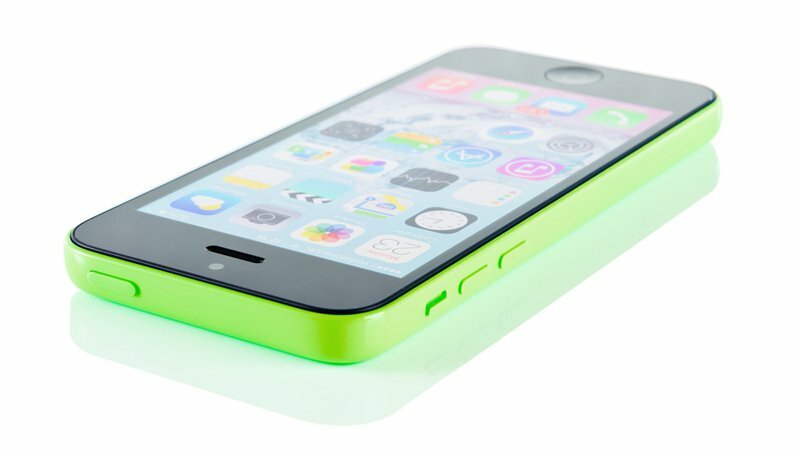 The plastic back of the iPhone 5c is said to be a big disappearance from the steel, aluminium and glass substance which Apple had utilised since the iPhone 4. The 3GS of the phone had a plastic back and it was like going back.The iPhone has all the trademarks of the thorough consideration to details. 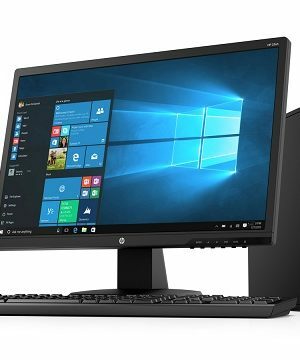 It has been crafted from a single piece of plastic and one will not find a single seam or join in the unibody- type design. An advantage of the plastic construction is that the edges tend to be smooth and curved unlike the iPhone 5s and 4s which by contrast seems a less comfortable in the hand. 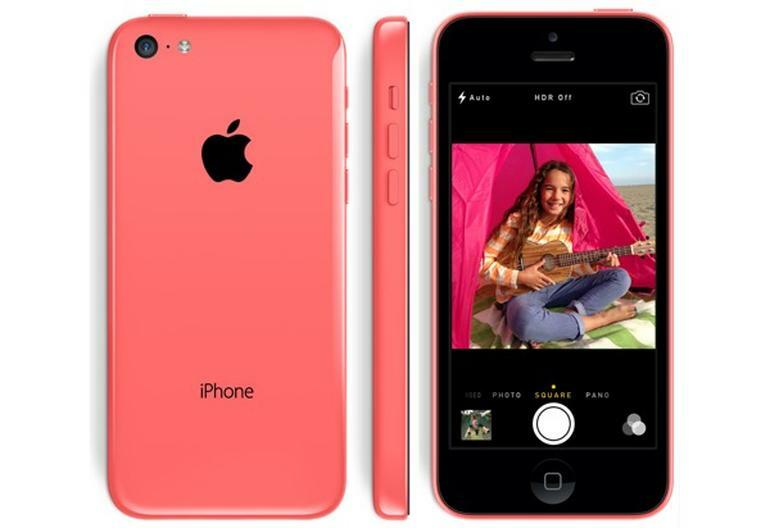 The Apple iPhone 5c is said to be a sole SIM (GSM)which tends to receive a Nano-SIM with connectivity choices comprising of Wi-Fi, Bluetooth, GPS, 3G and 4G with the assistance for Band 50 utilised by some of the Indian LTE network while the sensors on the phone features Compass Magnetometer, Proximity sensor, Accelerometer, Gyroscope and ambient light sensor.